L’Amour Skin Cream Review:Ingredients, Side Effects, Detailed Review And More. What is L’AMOUR SKIN CREAM? Helps in making the skin smoother. Reduces aging signs on the skin. The manufacturer of L’Amour Skin Cream is not stated on the websites that are offering a free trial of the product. It is also unknown where the product is being made. This may indicate that it is not produced in a facility approved by the FDA. This is not a good sign in terms of the quality and safety of the anti-aging formulation. There are some complaints because of the free trial offer and reviews say it comes with an automatic monthly shipment program that is not easy to cancel. L’AMOUR SKIN CREAM- Does It Really Works? One notable problem with L’Amour Skin Cream is the lack of information on how the formula works. There is just a brief statement that the formula contains certain agents that boost collagen production which restores the elasticity, smoothness and firmness of the skin. The product is also said to contain powerful antioxidants this may help slow down the skin aging process and prevent the premature appearance of aging signs on the skin. What are the Ingredients in L’AMOUR SKIN CREAM? Oat Kernel – This is said to contain natural compounds that fight skin aging like amino acids, polyphenols and beta-glucan. It also contains avenanthramide which has a soothing effect on the skin. This also helps keep the skin hydrated which may slow down the skin aging process. Blackberry – Recent studies have shown that it may help make the skin become suppler. It is said to boost collagen and elastin production which makes the skin firmer and more elastic. However, there is limited scientific data of its benefits to the skin. Acai Fruit Oil – This is a potent natural ingredient that works to protect the skin from damage and inflammation. It helps prevent rapid skin aging. Retinol – It has been shown to boost collagen production which helps in the restoration of the skin’s youthful qualities. It is one of the most popular ingredients in anti-aging skin care products however it also causes dryness and irritation on skin. It contains antioxidants to help in protecting the skin from damage.However it contains Retinol which causes skin irritation. Improves the firmness of the skin. L’Amour Skin Cream is not clinically proven to be effective by an independent laboratory. There are complaints due to unscrupulous practices in regards to the free trial offer. Some of the active ingredients are not substantially proven to be effective and safe. There are feedback’s from customers that say it can cause adverse effects. There are users saying it doesn’t really work. Be careful and avoid getting the cream in your eyes. 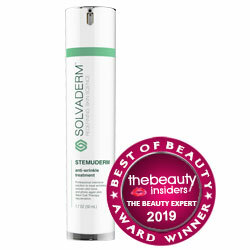 If your skin is very sensitive, ask your skin care professional before using this product. Put small blots of the cream all over your face and neck then spread evenly using the tip of two or three fingers. Massage the formula into your skin in order to enhance the absorption process of the active ingredients. Allow the formula to dry completely. Apply in the morning and evening to get the best results possible. L’Amour Skin Cream is just an ordinary anti-aging product being sold online. It is an attractive proposition due to the free trial offer. This allows anyone to try if it is really effective. However, you must read carefully the terms and conditions of the free trial offer. This way, you will not have problems in getting billed or cancelling your enrolment for the auto shipment program. L’Amour Skin Cream is just an ordinary anti-aging product being sold online. As we age the composition, texture and appearance of our skin changes. Signs of skin aging include wrinkles, fine lines, loss of moisture, uneven tone, and dull, tired-looking skin. There are countless anti-wrinkle creams on the market promising to make skin look and feel younger. Many anti-wrinkle creams promise everything short of a face-lift or to provide the much sought after “fountain of youth”. In reality most are just moisturizers marketed as anti-aging products.It does not offer any sort of money back guarantee.